This is very interesting. 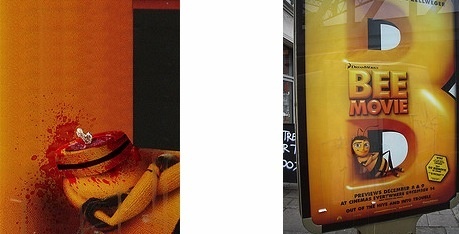 The decapitrator creates images to replace parts of ads, thus rendering the people in the ads as headless. Check out more of his work on The Decapitator’s Flickr Page. Vote for Space 1026 as the best Art Gallery at City Paper’s website. You should also vote for Carrie Collins as Local Designer while you are at it. She is the Production manager at R.E.Load East and also runs Fabric Horse. 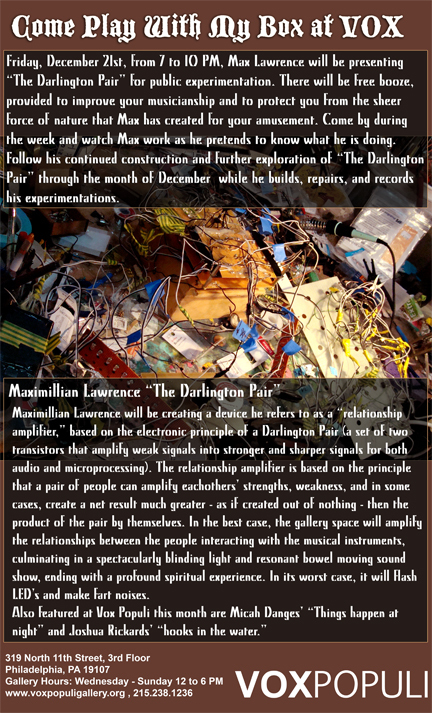 From November 2nd – December 20th, 2007, Space 1026 will commemorate a decade of denial with an exhibition surveying the cooperative’s past 10 years. The installation will be a melange of artwork from the artists who have shown there, a history of the pivotal events and ever-changing cast of whimsical characters, a plethora of humorous anecdotes, and a focus on the community support from friends and family that has kept the Space’s doors open too long. 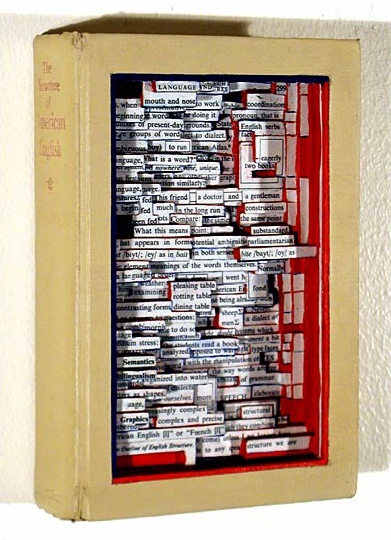 These Book Autopsies are Rad!. Thanks to Jen Oliver for showing me this. 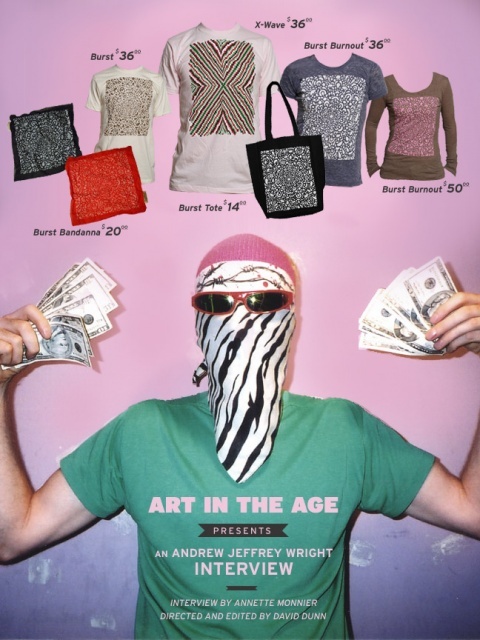 Check out Art in the Age for a video interview with Andrew Jeffrey Wright (AJW). Buy some of his stuff while you are at it! 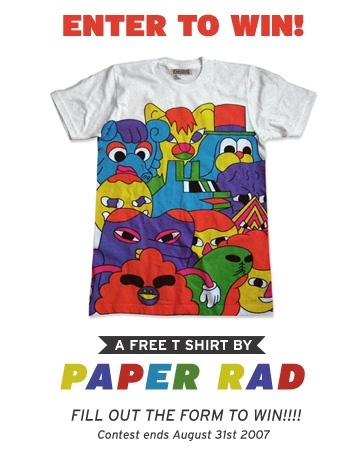 Art in the Age of Mechanical Reproduction is having a contest to win a free paper rad tee! Go sign up for your chance to win. 96 Gillespie is pleased to present ‘Blood in Blood out’ by Philadelphia arts collective, Space 1026. 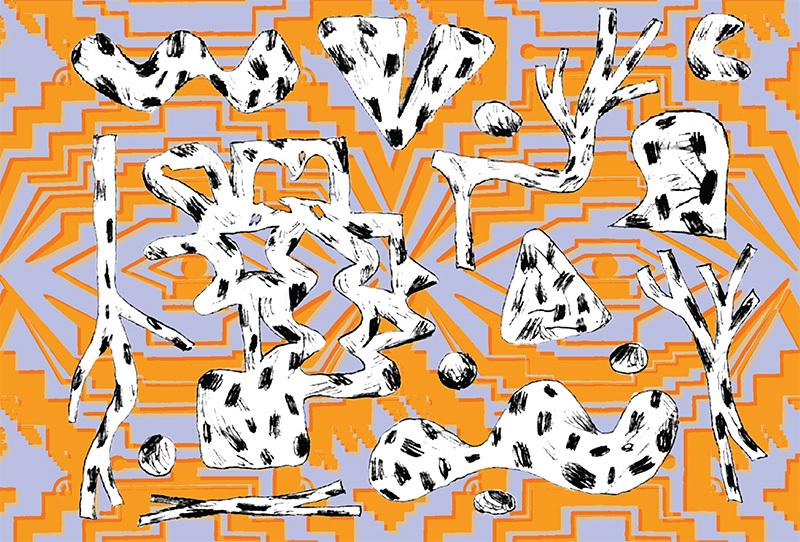 A 25 + member group known for their collaborative and fun group spirit, their art installations embody the diverse personalities and disciplines within the group as well as coalesce them into a tight, over the top aesthetic that combines print-making, drawing, sculpture, design, and video in an infectious visual chaos. Space 1026 is a studio, an nationally renowned art gallery and an art collective at the heart of Phildelphia’s explosive art scene. Many of the members have successful solo careers, while others are still emerging. It is this combined with individual anonymity, incredible energy resources, and group suppport that drives their inspirational art-antics. Members include: Adam Crawford, Adam Wallacavage, Andrew Jeffrey Wright, Andrew Pierce, Anthony Smyrski, Aryon Hoselton, Becky Suss, Ben Woodward, Caitlin Emma Perkins, Clint Woodside, Courtney Dailey, Hanif O’Neil, Holly Gressley, Isaac Lin, Jake Henry, Janet Lee, Jason Hsu, Jayson Scott Musson, Jeff Wiesner, Jesse Goldstein, Jesse Olanday, Jodi Rice, John Freeborn, Jonathan Finnegan, Justin Myer Staller, Katie Kent, Lindsey Mears, Liz Rywelski, Mark Price, Mary Chen, Matt Kosoy, Maximillian Lawrence, O. Roman Hasiuk, Ryan Thacker, Ted Passon, and Thom Lessner. For this exhibition, the group will be exploring the concepts of individualism and identity through art and fashion. Running themes include crime and consumerism.